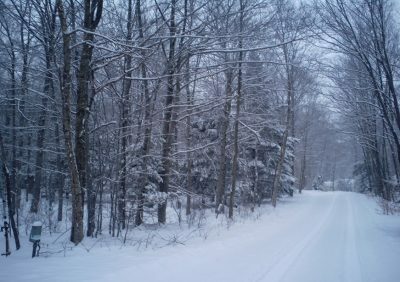 Old Man Winter is finally on his way out! This means it is time to put away the shovel, snow blower and ice melt and start thinking about what you will need to get your lawn ready for spring. 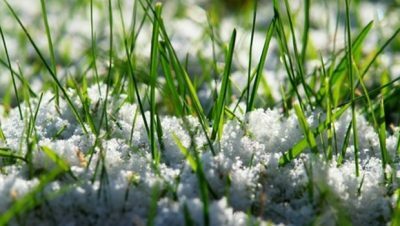 Harsh winters can leave your lawn and landscape in rough shape. The lawn has some form of protection as it remains covered by a nice blanket of white snow. However, the rest of your landscape may suffer from excessive winds and cold temperatures. Clear your lawn and landscape – clear your lawn of any debris, such as twigs, branches or leaves that may have gathered over the past few months. Using a leaf blower can assist in a quicker clearing or in tough to reach areas. 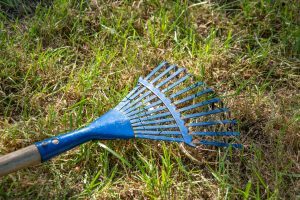 Rake areas of your lawn as needed – Lightly rake out any matted down areas or greyish brown spots in the lawn. By doing this you will improve air circulation needed for the grass to grow. 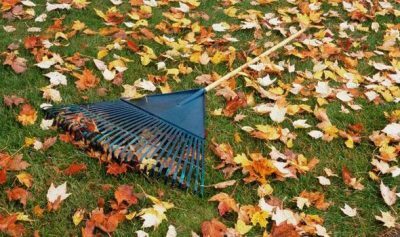 A light raking will help if there is snow mold in the lawn. Fertilize your lawn and trees/shrubs – Apply fertilizer and pre-emergent in early spring. This will help jump start the lawn and create an invisible layer to protect against crabgrass and summer annual weeds. Here at StayGreen, our first treatment consists of a time-released fertilizer and pre-emergent weed control to help reduce weed populations early on. Spring is one of the best growing times of the year for cool-season turfgrass. Apply mulch to your landscape beds – mulching has quite a few benefits to your landscape. The appearance alone is beautiful, but mulching helps reduce weeds and grasses in the beds. Mulch will also hold moisture which will reduce the amount of watering you may have to do. Prune trees and shrubs– now is a good time to do some trimming. Dead branches or branches that may look sick should be removed with proper pruning tools. This allows your trees or shrubs to direct its energy to the remaining part of the plant to improve growth and blooms. Inspect your mower – it’s time to dust off the mower that sat in the shed all winter. Be sure to check the oil and gas levels. Now is a good time to sharpen the mower blades if this was not completed prior to storage. 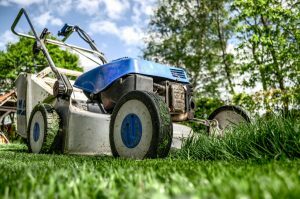 Mow the lawn as early as possible and remember that you may need to mow more often in the Spring as that is when we get most of our top growth form the grass. When is the right time to seed? This is a popular question when spring rolls around. We ideally recommend seeding in fall (September). Small bare spots (the size of a softball) may fill in on their own with good turf building fertilizer. Areas a little larger may need some light raking, grass seed, and top dressing. Depending on the location of the lawn will determine the right seed mixture you’ll want to choose. If you seed in the spring, the key to having success is to ensure proper irrigation, especially through the hot summer months in order to keep the young seedlings from dying. Note: If you are applying any pre-emergent weed control, you will need to avoid seeded areas. 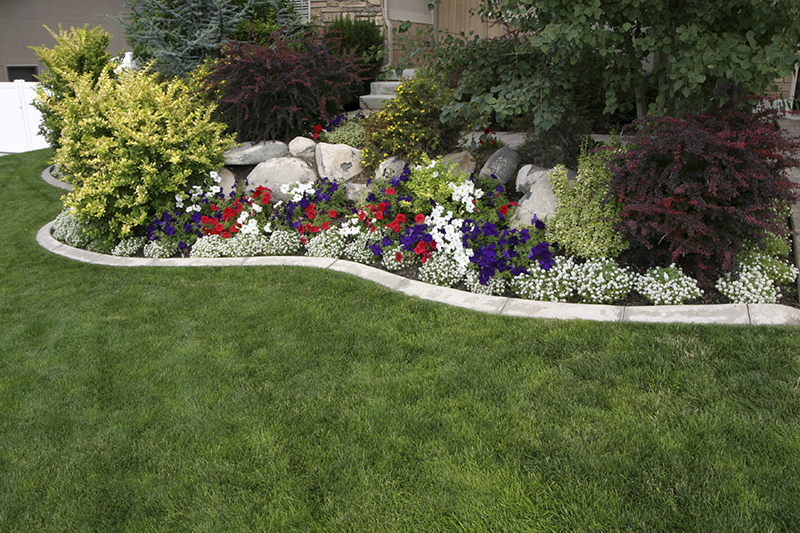 Springtime is one of the most important times for your lawn and landscape. The extra time and effort will surely pay off the rest of the year. 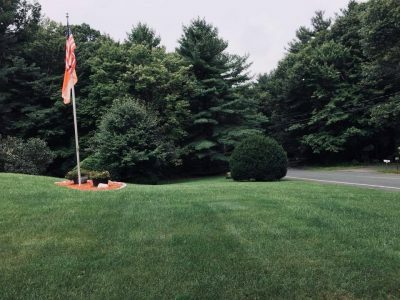 I hope these tips help you achieve a beautiful and healthy lawn and landscape this growing season. To learn more about our lawn fertilizer program or for a free quote, contact us today at 413-998-STAY (7829) or email info@staygreenls.com .